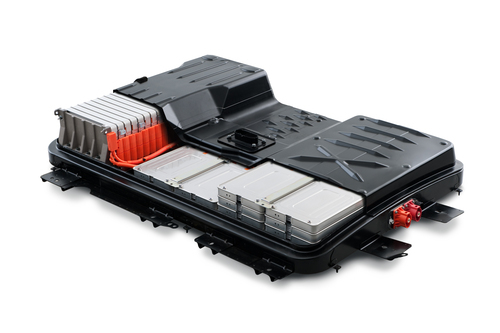 Two years ago the Nissan Leaf began deliveries in the U.S. On Wednesday, the company announced the U.S. based battery pack in Smyrna TN has begun production, ahead of the U.S. based Leaf manufacturing slated to begin in early 2013. The move to manufacture the Nissan Leaf in the U.S. is part of a broader move by Nissan to utilize "local production," because at the same time Nissan is also building a Leaf manufacturing plant in England. For Nissan, a Japanese company, the U.S. and Europe are foreign territory, and the Nissan Leaf factory being built in Smyrna Tennessee is "local production". According to Carlos Gohsn, speaking last Spring at the NY Auto Show, weak Leaf sales were in part due to the lack of local production. This left Nissan vulnerable to disruptions from 2011's Tsunami, as well as the weakening of the Yen versus the Dollar. With factories in both the U.S. and England, Nissan will have mass production of the Leaf in both North America and Europe. By 2015, Nissan aims to have 85 percent of all Nissan and Infiniti products that are sold in the United States produced in North America. At the current stage, the first battery packs produced in Smyrna have undergone aging testing and are now ready to receive their first charge. The factory can be expanded to produce modules for up to 200,000 batteries annually depending on market demand. Interestingly, Nissan says the plant can produce battery packs not only for the Leaf but for "for future vehicles that could be added to the portfolio." One such vehicle is the e-NV200 which is expected to begin manufacturing in Barcelona in 2013, and uses drive train components derived from the Nissan Leaf. The two factories in Smyrna have already added 300 U.S. manufacturing jobs and this could expand to 1,000 jobs depending on market demand. The Leaf is being manufactured on the same line as the Nissan Altima and Nissan Maxima so volume can readily be adjusted among the vehicles to meet demand. The "technological advancements and feature changes" for the 2013 U.S. Nissan Leaf will be announced closer to the vehicle’s on-sale date in early 2013. In November, specs of the Japanese version of 2013 Leaf was announced with an improved cargo area, improved driving range, and improved efficiency. These factories required an investment by Nissan of up to $1.7 billion, and is supported by loans from the U.S. Department of Energy. That loan amount is up to $1.4 billion, and was issued as part of the Advanced Technology Vehicles Manufacturing Loan Program, program authorized by Congress as part of the Energy Independence and Security Act of 2007. Unlike what some factualness-challenged commentators would have you believe, that program predates the Obama Administration. The purpose of that program is to "accelerate the development of vehicles and technologies that increase U.S. energy independence, create cleaner means of transportation and stimulate the American economy."